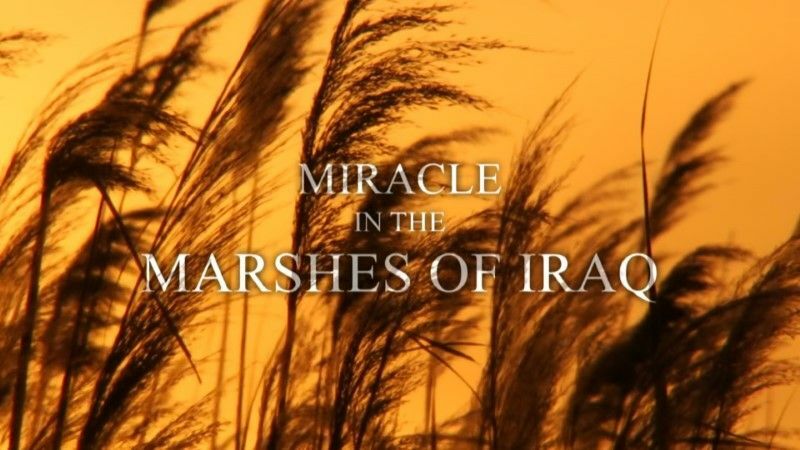 Natural World: Miracle in the Marshes of Iraq Wildlife documentary It's the largest and most ambitious habitat recreation project ever known: to bring back to life one of the world's greatest marshlands. And it's happening in Iraq. Considered to be the original Garden of Eden, the marshes were once Iraq's wildlife jewel, where man and nature thrived for 5,000 years. But in the 1990s, Saddam Hussein drained these gigantic wetlands and turned them into a desert, destroying a home to thousands of people and millions of birds. Donning his body armour, filmmaker David Johnson travels to the Mesopotamian Marshes to follow the work of Azzam Alwash, the visionary Iraqi engineer at the centre of this extraordinary scheme to re-flood hundreds of miles of desert and bring back life to the sands. This is a view of Iraq the world never sees, a world of huge reed beds and vast flocks of birds that fill the sky. But nothing ever quite goes to plan in Iraq.